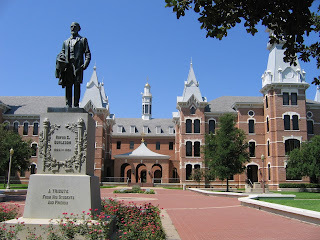 In Beaumont, Texas, there is a fine school: Baylor University. You may have heard of the school, but you probably haven't heard about the Christian man who gave the money to build that school. The story is an interesting one. Later in life the benefactor lost all his property. More than one friend asked him, "Don't you wish that you had all the money you put into your school?" His reply is a solid one. He said, "Not at all. It is all I've ever saved. If I had kept that money, I would have lost it too. I am thankful that I gave that building when I did." How about you? Are you glad for the good things you've done? Or do you regret the sacrifices you've made for others? Mothers, are you sad you did without, so your children could dress right for school? Fathers, do you feel your time and sweat on the job has been ignored as you tried to provide? If so, you need to be like the man in our story. Indeed, you need to be like the Lord. Over 2,000 years ago Jesus died to save us from sin, death, and Satan. If the statistics are correct, there are hundreds of millions of people who don't believe in Him or the salvation He has won for them. Nowhere in the Bible do you see any sorrow on Jesus' part for having made the sacrifice He did. On the contrary, there is great rejoicing in heaven for every sinner who repents. In short, heaven is rejoicing at the good Jesus has done. Might I suggest we should do the same? We need to rejoice in the good the Holy Spirit does through us; we need to give thanks for every opportunity He puts on our plate. True, not every good witness we make results in someone believing the Gospel message, but we're not asked to convert people. We're asked to make our witness and be thankful that God has entrusted the job to us. Dear Lord, we thank You for all that You have done for us. Help us each take the opportunity to do things with our time and money for You so that we may have no regret. In The Name of Jesus, Amen. It’s hard for us to fathom how much our Heavenly Father suffered when He saw His own Son dying on a cross. Still, we will also never imagine how much He suffered as He watched Adam and Eve follow their own way instead of His, a way that would lead all humankind to suffering and death. Had Jesus avoided the shame of the cross, humankind would have been lost for eternity. We truly deserved death, but God thought otherwise. We can't fathom this kind of love, either! Imagine being willing to die to save the life of a despicable criminal. None of us would even consider that. He deserves his lot! God, however, knew it was worthwhile, even though it hurt Him to the very core of His being. His love for us outshone all of this! At times we can see glimpses in history of what salvation means. One of these glimpses happened during the battle of Gettysburg on July 1, 1863. An artillery shell smashed into a huge oak tree. Branches and pieces of splintered trunk rained down on the soldiers sheltered underneath. One of these soldiers, from the 90th Pennsylvania Infantry, noticed that a nest filled with baby robins had survived its fall from the upper branches of the tree where it was once located. What should he do? The battle was fierce, and any miscalculation could cost his life. Still these baby robins seemed so vulnerable. Any of his comrades could unwittingly trample them to death. He couldn't let that happen. He stood up amidst the heavy fighting, and running to the nest, he placed it tenderly back in the branches of the shattered tree, then he watched as the mother bird fluttered down onto the nest. This soldier was willing to sacrifice his own life to save those chicks. Even though he had never even seen these baby robins before, his love for the tiny birds was evident. When he finally found shelter under the oak tree again, he must have smiled. Even amidst the fierce fighting of this senseless war, he had made a difference in the world. His fellow soldiers noticed his bravery. Very soon, rumors spread about what had happened that day under the oak tree. Today a sculpture can be found on the very spot where the oak tree once stood. It displays a mother robin sitting on her babies to protect them. That soldier was truly a hero that day! But if the soldier was a hero, then even more so Jesus, our super hero! His love was truly evident when He willingly died for us. Wow! Dear Lord, thank You for coming to save us. We love You with all of our heart. You are our hero! In the Name of Jesus, Amen. 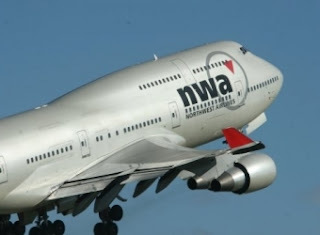 I remember reading about a Northwest Airlines flight that departed the Detroit airport on August 16, 1987. Soon after takeoff the plane crashed onto a highway, causing the deaths of 155 people. When rescuers arrived, among the carnage of cars and the aircraft they found a four-year-old girl. She said her name was Cecelia. Because of Cecelia's condition it was thought she had been a passenger in a car rather than the plane. A quick check of the flight's roster showed their first assumption had been wrong. Cecelia had been on Flight 225. Only later, when things had calmed down, did Cecelia explain how she had been spared. She said that her mother, during the plane's last moments, had unbuckled her seat belt, knelt in front of her daughter and held Cecelia as tightly as she could. The mother had put herself between her daughter and death. That's the kind of thing a mother would do for a child. 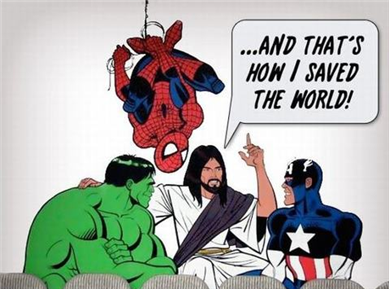 It's also the kind of thing the Savior has done for all humanity. Of course, there are differences. A mother would not make such a sacrifice for everybody, but Jesus did. Jesus surrendered Himself for the entire world -- even those who never appreciated Him. Here's another difference: Cecelia's mother could only save her child for a short time. Death will eventually have Cecelia, as it will everyone. But Jesus' sacrifice has enabled those who believe on Him to be completely forgiven as well as granted eternal life in heaven. I am sure that Cecelia will always remember the sacrifice her mother made for her. It would be the right thing for a grateful child to do. Just so it is right for us to live our lives in thanksgiving for the Savior who put Himself between us and eternal death. Dear Lord, may our life be filled with gratitude for You, our Savior who lived, suffered, died and rose for us. May we share that great news with all those around us. In the Name of Jesus, Amen. Eric Barker, a missionary from Great Britain, spent over fifty years in Portugal preaching the Gospel, often under adverse conditions. At the beginning of World War II, the situation in Europe became so difficult that he was advised to send his wife and six children to England for safety. His sister and her three children were also evacuated on the same ship. Although his family were forced to leave, Eric remained behind to carry on the work. The Sunday following their departure, Pastor Barker stood before his congregation and said, "I've just received word that all my family have arrived safely home!" He then proceeded with the service. Later, the full meaning of his words became known to his congregation. He had been handed a wire just before the service informing him that a German submarine had torpedoed the ship with his family. Everyone on board had perished. Eric Barker knew that because all his family were believers they had reached a more desired home." Although overwhelmed with grief, he managed by the grace of God to live above his circumstances and to give God the glory for bringing his family safely home. The knowledge that his family was with Jesus in Heaven comforted his heart. This bit of history tells the importance of Jesus crucifixion, death, resurrection, and ascension into heaven. Without a sinless sacrifice who willing took the punishment for each of the individual sins of each of Eric Bakers family members he would not have had the assurance that they had arrived safely home. If the enemy sinks your ship where will you go to spend eternity? If you are safe in the ark of His covenant made possible by Jesus, the Lamb of God, you will ascend to heaven. 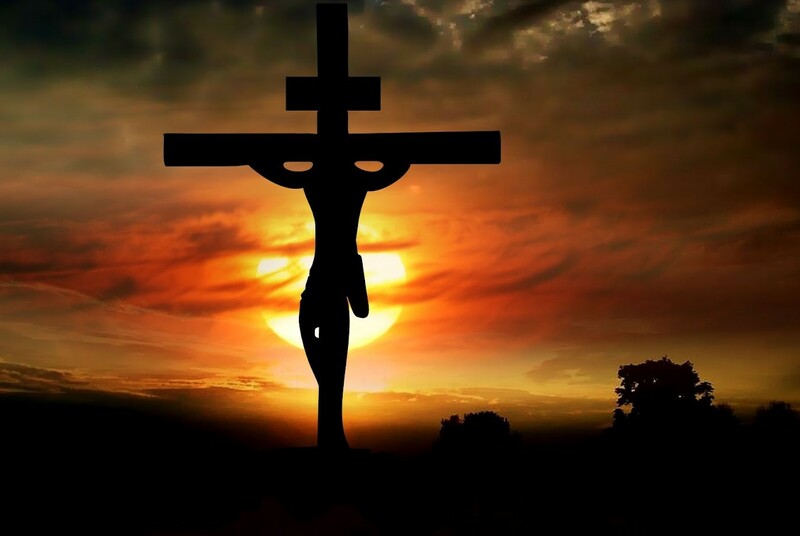 Dear Lord, thank You for the great sacrifice You gave of dying on the cross for our sins and on the 3rd day conquering death so that each of us can have forgiveness of our sins and conquer death someday. In the Name of Jesus, Amen. An elderly mother in Scotland had given up her son to the work of the Lord as a pastor and missionary. One day she went to the missionary society that had sponsored him. At the door she was asked, "Have you made any contributions to the society?" "I am afraid not," she answered. As this was a meeting only for those who had supported the society, she was refused admittance. As she walked away, she thought of her son who had, years before, gone as a missionary to Sierra Leone in West Africa. His body was buried in that distant land. Quickly, she retraced her steps to the building. She explained to the man at the door, "I forgot. You asked me if I had made any contributions. I gave my only son, and he is buried in Sierra Leone." The doorkeeper removed his cap, bowed graciously, and said, "Come in." He led her to a front seat. Today, we look at God's giving. We are talking about the giving of God's Son, who embraced death so that eternal death will no longer be a fearful and frightening thing. Can you imagine how poor our lives would be if God had not sent His Son to die in the foreign land of Earth? Even those who are not Christians can understand their lives would be poorer, as they would have to think of a world without many of our universities and hospitals, the medicines left undiscovered, the social ministries never begun. Truly, much has been done in the Name of Jesus who taught us how to serve. But Jesus did more than teach us how to give. His entire life was a gift: a sacrifice that was made so many could be ransomed. Jesus died to free us from oppression, depression and fear. He died to give us eternal life. For all that He has done, it is only right, it is only appropriate, only fitting the Savior should be welcomed into our hearts and be given the place of highest honor and respect. Dear Lord, thank You for Your death to save us. Please live with us and never depart. In the Name of Jesus. Amen. As people of comfort we try to avoid pain whenever possible—physically and emotionally. Even the most avid adrenaline junkie has soft spots. We cling to what’s secure, safe and feels good in our circumstances and relationships, naturally seeking to protect ourselves. A lot of times, that’s a good thing. We were designed to value life and preserve ourselves. On the other hand if we hold ourselves too tightly, we keep ourselves from following God with our whole hearts. God often asks us to get out of our comfort spots and set ourselves aside for his glory. He wants us to trust him, but we can only do that when we let go and obey. More than likely, Simon had other things to do that day rather than get personally involved in Jesus’ scandalous crucifixion. 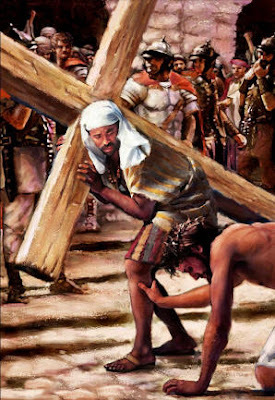 His own plans and agenda where interrupted when he was given an order to carry the bloody cross for Jesus. It was hard work, bloody, and humiliating, but he carried the cross for Christ and walked with him in his most difficult hours. In doing so, he became part of the greatest story in history. Dear Lord, give us the courage, strength, and endurance to follow You every day. No matter the obstacles, how long the dark night, how our plans might be disrupted, may we always give ourselves to You. In the Name of Jesus, Amen. How many of you have seen an air plant? I find myself fascinated with a special kind of tropical plant called the air plant. The most renowned plant in this category is the pineapple, in the bromeliad family (Not surprising, because most bromeliads look like pineapple tops!) 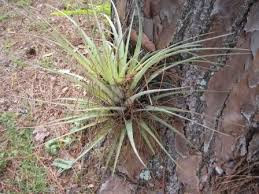 Other well-known types of air plants include the orchid and Spanish moss. Although many of these fascinating plants have been adapted to our agricultural needs, air plants in the wild grow mostly on the branches of trees. They are far from being parasites, however. They never tap into the tree, nor do they try to strangle it to death like some kinds of ivy. They live peacefully with the trees, only using them for support. Most air plants have a cup-shaped trap at the base of their leaves. This trap serves to collect rainwater and debris, and it also provides shelter for numerous animals such as frogs, serpents and insects. The air plant gets all of its nutrients from the air and from what finds its way into these traps. It can truly be said that it depends upon the grace of God for survival! Can you imagine what would happen in our world if all believers in Christ started to live like these air plants? I am referring to depending completely on God in all we do! How different the world would be! Instead of the "Stick up your hands and let me see your wallet!" mentality, we might find ourselves secretly slipping much-needed money in the pocket of a beggar. Instead of giving our "to-do lists" priority, we would stop in our tracks and focus on the needs of the person trying to catch our attention. Instead of telling the drunk on the street, "You want money? Go to the Salvation Army! I believe they have some soup for you! ", we would be inviting that person to an elegant restaurant for dinner. Imagine his face! Oh, sure, we do our civic duties by tossing money into the offering plate at church, and if we have time and remember to do so, we may pray for the needs of one or two people. 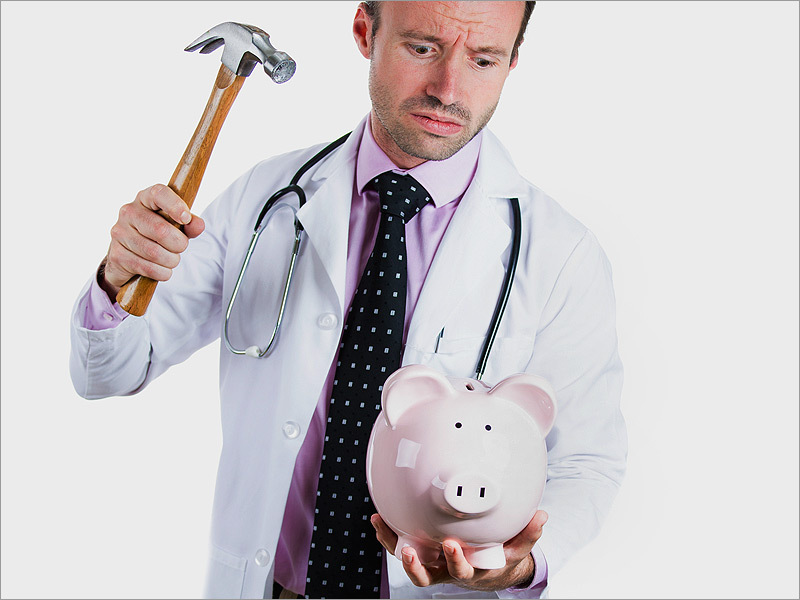 But God does not desire our money. He does not want any sacrifice that does not come from the heart! Instead He wants you-the whole person that constitutes you! He is madly in love with you and He wants ALL of you! Not just a few crumbs you let drop! Will you act like some kinds of ivy and have your actions choke out all hope of the people around us, or we you imitate the air plant's philosophy and depend solely upon God? Dear Lord, we pray that today we would be like the air plant and depend completely on You. Help us not be like the ivy and choke people out. In the Name of Jesus, Amen. 41 And he withdrew from them about a stone's throw, and knelt down and prayed, 42 saying, “Father, if you are willing, remove this cup from me. 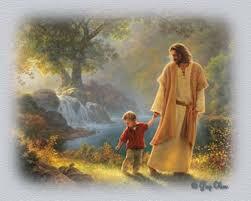 Nevertheless, not my will, but yours, be done.” 43 And there appeared to him an angel from heaven, strengthening him. A good, many years ago, during a Massachusetts winter, a brother and sister, nine and eleven years old, were walking on the ice of a river. They hit a thin patch; the ice gave way, and they fell through. Kicking to the surface, they yelled for help. Summoned by their screams, a man came running. He jumped into the water and tried to help both children. It was an incredibly difficult thing for him to do. Seeing that the man was losing the battle the nine-year-old boy shouted, "Never mind me. Save Annette!" That's what happened. The man saved Annette; the boy died. I've often wondered why did the boy call out, "Never mind me. Save Annette!" Was it a rational decision? Did he debate the matter? After weighing the pros and cons, did he conclude he would rather see his sister saved than himself? Anybody who thinks that has never been in ice-cold water. No, the boy didn't have the kind of time necessary to put the pros and cons onto the scale. What happened was this: that boy, that Christian boy, made his self-sacrificing statement, because it was part of him. From his home, from his church, from parents and grandparents, from a long line of volunteer and paid teachers, he had learned to try and do as the Savior had done for him. Now you and I both know it's not normal to say, "Never mind me. Save Annette." It's not normal, but that is what Jesus did for us. Look once again at His prayer in the Garden of Gethsemane. True, the Savior doesn't mention Annette, nor does He call out our specific names. Even so, Jesus' prayer basically states, "Father, never mind Me. Save the world." This, of course, is what happened. Jesus died and the world was redeemed. Now all who are brought to faith in the Savior are given forgiveness and eternal life. And what will happen if we, in the Savior's Name, make sacrifices for others? I can't tell you that, but I do know today tens of thousands of people have heard the story of a Christian boy who said, "Never mind me. Save Annette." Dear Lord, thanks for making the decision to save each of us. Help us all be mindful of what You have done for us. Help us to share that with those around us this Easter Season. In the Name, of Jesus, Amen. In March 1992, Jeff and Kristi Leeland of Seattle, Washington found out that their baby boy Michael had cancer and needed a bone marrow transplant. Little Michael's older sister Amy was a perfect match, but the cost of the operation was $200,000 and Michael needed to have the transplant done within 90 days to live. To make things worse, Jeff's insurance, at the junior high where he taught, did not cover the procedure. Fellow teacher Joe Kennedy told his class about Mr. Leeland's situation. Dameon, a seventh grade boy who walked with a limp and struggled in special education classes, heard about little Michael and visited the Leeland home. "Mr. Leeland, don't make a big deal out of this. If your baby's in trouble, I want to help out." Dameon, the kid others teased, reached out his hand and stuffed 12 five-dollar bills into Jeff's hand. It was Dameon's life savings. Word got out about "Dameon's gift." Some kids organized a walk-a-thon. Others contacted a local newspaper. Others held a car wash. Soon, the kids' wave of compassion poured out across Seattle. By late May, area TV stations picked up the story. The response from the news stories was overwhelming. Only four weeks after Dameon's gift of $60, the Michael Leeland Fund totaled over $220,000. Michael got the marrow transplant. He lived. Dameon, the boy who gave sacrificially so another could live, accepted Jesus Christ as his Savior after becoming close with Michael's family. Having struggled for years with physical problems of his own, Dameon died from complications after he got an infection in one of his legs. Michael Leeland lives on to tell Dameon's story, the unlikely hero, who gave his all to save the life of another and in the process, he received life everlasting. 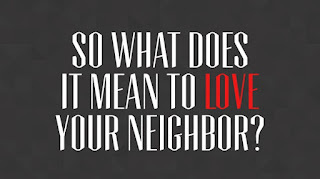 Dear Lord, help us to not sin against our neighbor and seek to love them as You would have us to love them. In the Name of Jesus, Amen. 14 Since therefore the children share in flesh and blood, he himself likewise partook of the same things, that through death he might destroy the one who has the power of death, that is, the devil, 15 and deliver all those who through fear of death were subject to lifelong slavery. Solomon Rosenberg, his wife, his 2 sons, and his mother and father were arrested and placed in a Nazi concentration camp during the Holocaust of WWII. It was a labor camp and the rules were simple: "As long as you can do your work, you are permitted to live. When you become too weak to do your work, then you will be exterminated." Rosenberg watched his mother and father being marched off to their deaths when they became too weak to work. He knew that his youngest son, David, would be next because David had always been a frail child. Every evening when Rosenberg came back into the barracks after his hours of labor, he would search for the faces of his family. When he found them, they would huddle together, embrace one another, and thank God for another day of life. One day Rosenberg came back, but he didn’t see those familiar faces. He finally discovered his oldest son, Joshua, in a corner, huddled, weeping, and praying. He said, "Josh, tell me it’s not true." Joshua turned and said, "It is true, Poppa. Today David was not strong enough to do his work, so they came for him." "But WHERE is your mother?" Asked Mr. Rosenberg. "Oh Poppa," he exclaimed. "When they came for David, he was afraid and he was crying. 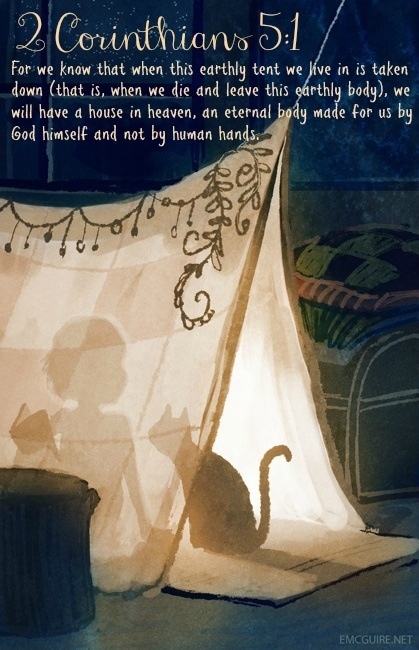 Momma said, ‘There is nothing to be afraid of, David,’ . . . . And then she took his hand and went with him." There are few things as strong as the love of a mother for her children – a love so strong that it would choose to give up life so her child can be comforted. The love of Mrs. Rosenberg pictures the sacrificial love Jesus has for US. In order to take away OUR fear of death, He went before us (Hebrews 2:14-15). He met death "head on" – in fact, He died for us so that we might have the forgiveness of sins and the hope of eternal life (Ephesians 1:7; 1 Thessalonians 5:10). Jesus was buried but emerged from the grave victorious, so that WE might have hope in the Resurrection. "O death, where is your sting? O grave, where is your victory? 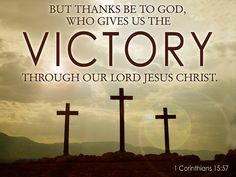 Thanks be to God, who gives us the victory through our Lord Jesus Christ" (1 Cor. 15:55, 57). The victory belongs to THOSE who submit their lives to Christ: believing in Him (Acts 16:30-31), turning from sin in repentance (Acts 17:30-31), confessing Him before men (Romans 10:9-10), and being baptized (immersed) for the forgiveness of our sins (Acts 2:38). Victory will continue to be enjoyed by those who continue to follow Jesus faithfully for the rest of their lives (1 John 1:7). Will YOU “take His hand” and walk with Him? Dear Lord, help us take Your hand and walk with You. 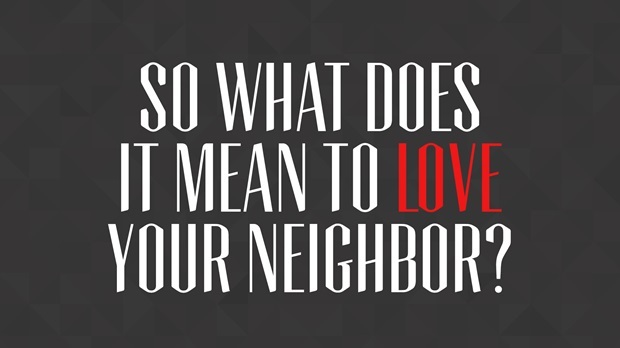 But not only that but share Your love with others. In the Name of Jesus, Amen. 6 The disciples went and did as Jesus had directed them. 7 They brought the donkey and the colt and put on them their cloaks, and he sat on them. Join me as we take a look at Palm Sunday from the view of the Donkey that was there. Listen in with the help if a special translator. Translator: Let’s listen in on the conversation of the Donkey on the first Palm Sunday. He says he has quite a tale to tell us. Translator: The donkey says, “Wow! What a day I’ve had today!” (turning to donkey) Won’t you please tell us about it? 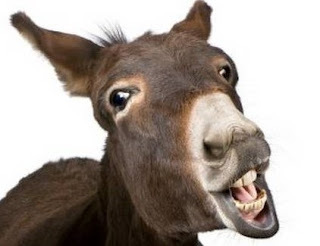 Translator: The donkey says, It started when two strange guys came and took me away. I’m a young donkey and have never been away from home. Translator: The donkey says, These guys led me outside the city where I met a man who was different from any man I’ve ever met. He had the kindest eyes I’ve ever seen. And they looked sad too. By the way, do you have a name, Donkey? Translator: The donkey says we can call him Jake. Do you have more to tell us? Translator: Jake says, the two strangers helped this kind man to sit on my back. Nobody has ever ridden on my back before, so I started to jump around and toss him right off. But this man was different. I felt peaceful, and I just wanted to do whatever he wanted. Translator: Jake says, he headed me along the main road into the city, and soon there were people everywhere. Everyone was shouting “Hosanna” and “Blessed is he who comes in the name of the Lord!” It was like this guy was a king on the way to being crowned. I wondered if this could be the Messiah? Translator: Jake says, Then it came to me… Messiah! Yes! Didn’t I remember my mother telling me about something that happened to her grandfather long ago? Mama said her mama told her about it. Jake thinks that a donkey carried the Messiah’s mother to Bethlehem the very night he was born. She said the donkey told about seeing the baby Jesus being born. And then there were shepherds who came and told about angels on the hillside to tell them about baby Jesus. Translator: Jake says we should pray… Our Heavenly Father, we thank you for coming to us and for showing us your love. Bless these children and draw them closer to you every day. Translator: Jake says we can praise Jesus just like the people did on the road to Jerusalem. Let’s shout “Hosanna” and praise Jesus too! We can praise God every day not just on Palm Sunday. Dear Lord, we thank You and praise You for all You have done for us. Thanks for being our king. In The Name of Jesus, Amen. Lightning is very powerful. There are a lot of mysteries about lightning, but we understand some simple things about it. Charges build up on clouds in the sky and the force of that charge is so destructively powerful that it has to be directed somewhere, either from cloud to cloud or quite often to the neutral ground. But if a tree or a house or a person is standing between that charged cloud and the ground, the lightning releases all its destructive power on that object. This destructive power can kill people, rip trees apart and start houses on fire. In order to keep our houses and buildings from catching on fire, we install lightning rods with grounding wires on those structures. The lightning strikes the building with all its fury, but instead of damaging the building or starting a fire, the lightning rod absorbs all the energy and directs it safely to the ground. 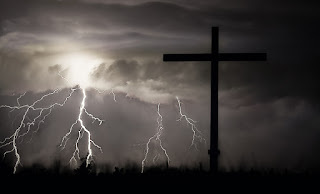 Jesus on the cross was the lightning rod for God’s anger over sin. By sacrificing Himself there, He absorbed all of God’s anger and directed it safely away from us, so that instead of killing us eternally, we could now be comforted by God. Dear Lord, we thank You that You were the lightning rod for our sin. We thank You for the special gift that You gave to each of us. In the Name of Jesus, Amen. 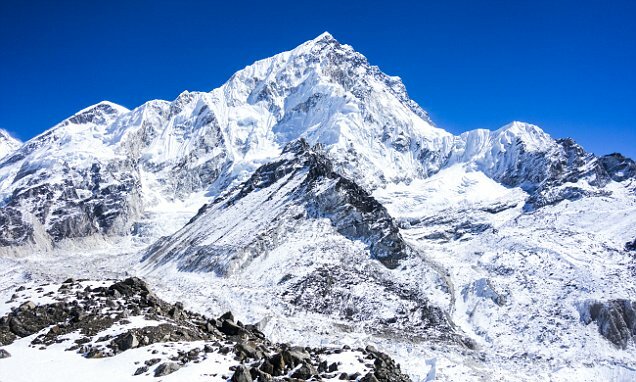 Daniel Mazur, an American guide from Olympia, Washington, was on his way to scaling Mount Everest for the second time when he abandoned his attempt. Mazur, his two clients, and a Sherpa guide were only two hours from the 29,035-foot peak on the morning of May 26, 2006, when they met 50-year-old Lincoln Hall. Hall had been left alone by his team a day earlier when his own guides believed he was dead. Because of OUR sin, the Bible describes us as being DEAD (Ephesians 2:1). “For the wages of sin is death” (Romans 6:23). Yet, Jesus, the Son of God, left His "heavenly summit" (Philippians 2:5-8) to come to OUR rescue. This rescue cost Jesus His life, for it was in His death that He paid the price for our sins. When we were “left for dead,” Jesus came to our rescue. Won’t YOU cling to Him in trusting obedience so that you can be saved? Dear Lord, help us look for the opportunities around us that we can be a help for. Help our eyes be open today. In the Name of Jesus. Amen. To an inheritance that is imperishable, undefiled, and unfading, kept in heaven for you. As we celebrate Saint Patrick’s a lot of people think about "luck" of the Irish. It reminds me how blessed I am. 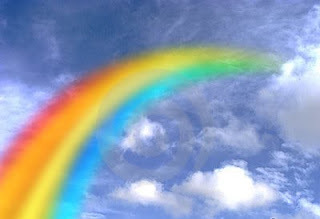 My rainbow does not lead to a “pot of gold” but to my relationship with my Lord and Savior. That relationship with the Lord entitles me to so much. It's all there waiting for me, just because I have accepted Christ as my Lord. The wonderful treasure that I find is eternal life and a home in heaven. Wow! Isn't that something to find! People have been searching for centuries and throughout history for the key to long life and to be ageless. I think "eternal life" qualifies, don't you? Here are some wonderful things waiting for us in heaven. Look how the angels rejoice over a soul that accepts Christ. I so want to live in a place of joy. There's so much here on this earth that isn't full of joy. The things in this life on earth can bring so much heartache and heartbreak, but there's a place of joy at the end of my rainbow and I can't wait to embrace that. I'm so glad that there's a place waiting for me where there's no trouble and it's a place of rest. This world is full of trouble. Just pick up the newspaper, check your Facebook page or turn on the TV and you'll see it everywhere. And sometimes I feel so tired and weary, but in heaven that's all gone. God wipes away those tears. To me that's just so exciting to know that we will live with the Lord forever. That the King of Glory, the Beginning and the End is there sitting on the throne. We know that now, but just think about being in His presence. Sometimes I see those beautiful places to live on HGTV and I am just in awe at the level of extravagance that some people live, but think about heaven. Hey! There's streets of gold there. We'll be walking on them! The bible also mentions, gates of pearl, jasper walls, jeweled foundations. What extravagance that the Lord went to for us, His children. · I Have An Inheritance There. What a consolation it is to me to know that I'm an heir of Christ. Because I accepted Him into my life, I have an incorruptible inheritance. I don't have to worry about any legal papers being drawn up, wait for a DNA result, or put my trust in a lawyer to prove it. I don't have to be in any doubt that I will receive what's mine at the end of my rainbow. I know heaven is mine because my name is written in the Book of Life. I know the things of this world will not last but there is heaven waiting for me because there was a time and place that I accepted Christ. · I'll Have A New Body There. I don't know about you, but my body here on earth could use a little repair. It's flesh. It's not going to last, but we do have a promise that we will be changed. Philippians talks about our citizenship in heaven and how God will change our bodies. I love the thought that I have a rainbow that leads to my relationship with the Lord. Eternal life with Christ in a beautiful place--what a thought. So, what's at the end of your rainbow? Dear Lord, we thank You for what is waiting for us at the end of the rainbow. Help us take the time to share that great gift with those around us today. In The Name of Jesus, Amen. Betsy is slender, with snow-white hair, blue eyes, and a pleasant smile. Every week Janet introduces herself, and every week Betsy responds as if she's never seen her before. When other people interact in the group or laugh at some little joke, Betsy smiles a distant, disarming smile. Mostly she sits quietly, vacant-eyed, enjoying the change of scenery from her room but comprehending nothing of the discussion going on around her. After a few weeks, Janet learned that Betsy has retained the ability to read. Often, she carries with her a postcard her daughter sent her several months before, which she pores over as if it came in yesterday's mail. She has no comprehension of what she is reading and will repeat the same line over and over, like a stuck record, until someone prompts her to move on. But on a good day she can read a passage straight through in a clear, strong voice. Janet began calling on her each week to read a hymn. One Friday the senior citizens, who prefer older hymns they remember from childhood, selected "The Old Rugged Cross" for Betsy to read. "On a hill far away stands an old rugged cross, the emblem of suffering and shame," she began, and stopped. She suddenly got agitated. "I can't go on! It's too sad! Too sad!" She said. Some of the seniors gasped. Others stared at her, dumbfounded. In years of living at the home, not once had Betsy shown the ability to put words together meaningfully. Now, obviously, she did understand. Janet calmed her: "That's fine, Betsy. You don't have to keep reading if you don't want to." After a pause, though, she started reading again, and stopped at the same place. A tear made a trail down each check. "I can't go on! It's too sad!" She said, unaware she had said the same thing two minutes ago. She tried again, and again reacted with a sudden shock of recognition, grief, and the exact same words. Since the meeting had drawn to a close, the other seniors moved away, heading for the cafeteria or their rooms. They moved quietly, as if in church, glancing over their shoulders in awe at Betsy workers who had come to rearrange the furniture stopped in their tracks and stared. No one had ever seen Betsy in a state resembling lucidity. Finally, when Betsy seemed tranquil, Janet led her to the elevator to return her to her room. To her amazement Betsy began singing the hymn from memory. The words came in breathy, chopped phrases, and she could barely carry the tune, but anyone could recognize the hymn. The emblem of suff'ring and shame. New tears fell, but this time Betsy kept going, still from memory, gaining strength as she sang. Somewhere in that tattered mind, damaged neurons had tapped into a network of old connections to resurrect a pattern of meaning for Betsy In her confusion, two things only stood out: suffering and shame. Those two words summarize the human condition, the condition she lives in every day of her sad life. Who knows more suffering and shame than Betsy? For her, the hymn answered that question: Jesus does. The hymn ends, and the Christian story ends, with the promise that redemption will one day be complete, that God will vindicate himself with a burst of re-creative power, that personal knowledge of God will be as certain as the most intimate relationships we know on earth. "For now we see through a glass, darkly; but then face to face: now I know in part; but then shall I know even as also I am known." We can live with the fact that the Lord has a new mind and body for each of us someday. Dear Lord, we thank You for the promise You gave us that someday old things will pass away and all things will become new. In the Name of Jesus, Amen.